Clothes & Camera - Luxembourg Fashion and Beauty Blog: Personalized Jewellery. A girl can dream, right? well, my wedding ring has my husband's name and our wedding day engraved so that's pretty personal, right? I love jewelry, all kinds really. Tolle Schmuckstücke! ;) Sowas hab ich auch noch nicht. These are so delightful. 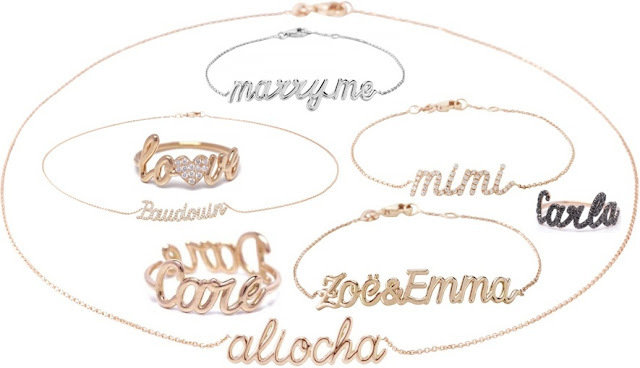 I love the idea of the 'marry me' bracelet, really original! Bin auch schon lange am überlegen, mir ein solches zuzulegen! love the marry me! If I had a brand with a cool name I'd def get one with its name on it. omg!!! love these necklaces!! so elegant! So cute!! I totally want one! !